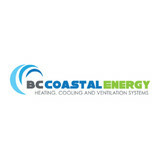 BC Coastal Energy is BC's leader for heating, cooling, ventilation and fireplaces, offering a complete range of energy efficiency and comfort solutions for your home. BC Coastal Energy has become a trusted market leader offering convenience and piece of mind through our level of expertise and exceptional service that exceeds all expectations. Our areas of expertise include: Specializing in residential new construction, renovation and furnace replacement, we have over 30 years’ experience helping homeowners, architects, designers, builders and renovators throughout the Vancouver lower mainland and beyond. HVAC consulting and HVAC design is what sets us apart from the competition. New Era Plumbing & Heating is a Squamish based mechanical company offering services all in house for plumbing, gas, HVAC, hydronic heating & service. 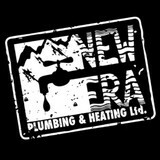 THE NEW ERA We chose the name New Era Plumbing because that truly is our approach. Unlike more traditional plumbing companies who may be unwilling to change with the times, our mindset is to always to be open to new technologies - both in the products we use and in the way we use them. 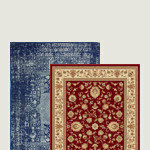 We are constantly source out and exploring the latest, most eco-friendly products and innovations in the market and trying to stay on top of the latest trends. MODERN MECHANICAL We thoroughly test out real-world usage and applications of products before we ever recommend or install them for our clients. Just because we're told something is the "next big thing" doesn't mean we necessarily believe it. New Era Plumbing stands 100% behind the quality of our work and the products we install. If we wouldn't use them in our own homes, we won't put them in yours. MODERN APPROACH New Era is definitely proud of our modern approach and acceptance of technology. We strive to be at the forefront of accessibility, so we are very active with social media. 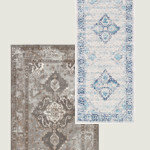 You can always check out our Blog to be kept to up date with our latest project and product updates. In the field, all of our employees have tablets with cloud access. This allows us to upload up-to-the-minute Scopes of Work, so our employees always know exactly what they're doing. This dramatically improves communication and ensures our clients never get unwanted surprises. Project changes can be made in real time and communicated instantly, allowing our company to work much more effectively for our clients, which drastically cuts down your bottom line. 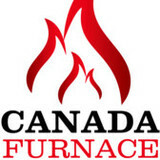 Canada Furnace has been offering Heating Ventilation and Air Conditioning services since 1981. We focus on solutions for residential HVAC and Indoor Air quality. While we are recognized for our Furnace, Heat Pump, Boiler and Hot Water on Demand Installations in the Western Canada region, a vast majority of our reputation is built on servicing and repairing HVAC systems, as well as to assist people in maintaining an overall healthy home with good air quality. Our objective is to support our customers choices and offer them alternatives to ensure they have the highest quality service, with the best possible prices and healthiest indoor level of comfort. 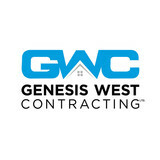 Genesis West provides responsive, dependable HVAC, Plumbing and Gas expertise with the best service and price across the Lower Mainland and Sunshine Coast — and that’s not just lip service. HVAC consulting and design are our focus. Our services are personalized to meet each client's individual needs. We believe in working with you one-one and not passing you off to 3rd parties or junior associates. We have over 30 years of experience in the heating and air conditioning industry and we are dedicated to maintaining your home’s overall comfort levels. 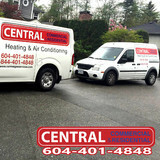 Central Commercial and Residential Ltd. is a Vancouver-based heating and cooling service company that provides exceptional services for clients in Vancouver, Burnaby, Coquitlam, New Westminster, Surrey, North Vancouver, West Vancouver, and Port Moody. Our company specializes in professional installations, maintenance, and repairs of air conditioners, boilers, fireplaces, furnaces, hot water heaters, and tankless hot water heaters. We believe that professional quality services are essential for developing a comfortable and luxurious home or work environment just for you. Thus, we are committed to providing the best quality products and reliable services at affordable prices for our dearly valued customers. *Authorized Dealer Bullfrog Spas* At Barron Heating, we love Hot Tubs! We are proud to feature Bullfrog Spas as our exclusive hot tub offering. The only major hot tub brand still made in the USA. Boasting the highest energy efficiency rating in the industry, it fits right in with our philosophy of offering the super efficient products. The health and comfort benefits of hot water immersion also fit in with our goal to help our customers live a more comfortable, healthy and energy efficient lifestyle. Like everything else we offer, Bullfrog Spas come with Barron Heating’s 100% Satisfaction Guarantee. If you don’t love it, you don’t keep it! Since January of 2007, Heating Green has specialized in electric infrared radiant heating systems. Infrared provides sun-like warmth and comfort in minutes to you and your surroundings, warming all surfaces. EcoGreen Ductless LLC is a specialty HVAC company that ONLY sells & installs Ductless Mini-Split systems. 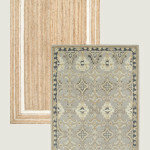 We are a small locally owned family operated company. Simply Green provides a wide range of options to assist get you equipped with reliable, top-quality, high efficiency heating and cooling equipment. Westmount Heating is family owned and operated, fully licenced and bonded specializing in furnace, boiler, air conditioning and hot water tank installations, service and repair. 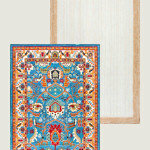 We are dedicated to offering the best prices and best service possible to our customers. Generally, Richmond HVAC contractors or HVAC technicians work with or run companies that repair or install heating systems and air conditioning units for homes. But they have specialized services too. For example, if you are a wine collector and you are thinking of installing a wine cellar in your Richmond, BC home, you might hire a British Columbia HVAC professional who specializes in refrigeration work. HVAC professionals can use their skills to help you to save money on your Richmond, BC home’s energy bills by installing radiant barriers in your attic or split-zone heating and cooling systems to heat rooms like solariums while cooling upstairs bedrooms during warmer temperatures. Find HVAC contractors on Houzz. Look in the Professionals section of our website and search for British Columbia HVAC contractors. Read reviews and see how an HVAC contractor might approach your Richmond, BC home’s heating and cooling challenges.